Another question from iqtest.com (if this has been posted before, feel free to delete). 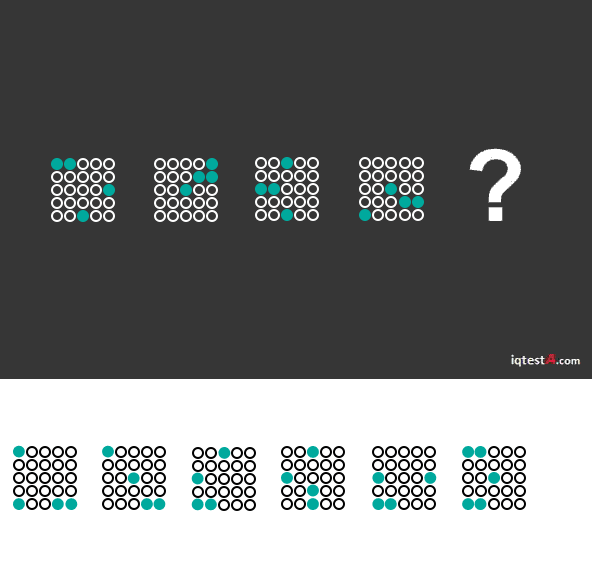 The two dots that are next to each other seem to be alternating between right and left while moving down (unless this is supposed to be misleading because it is very easy to see) but what is the pattern for the two lone dots and thus the right answer? the other two dots are moving two positions upwards each time. When they move out of the square, they appear again two positions left, at the bottom. You are a cat. How do you swap?